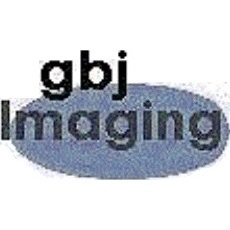 Here at gbj Imaging, we want nothing more than our clients to take advantage of the products and services we offer. Thus, this is why we felt it necessary to devise a policy to outline an acceptable use policy of our products and services we provide. We provide affordable audio production, but there are some exceptions as to what we will do for our clients. gbj Imaging will not create, produce, modify or edit any audio content that takes advantage of our 1st Amendment right with hate speech, harassment or other negative message not inducive to the purpose of a business, organization or purpose of the message at hand. Our audio content is always delivered with the sole intention to be original. We will not reproduce, modify or edit any existing material unless it was originally created by us. Montage (snippets of audio) material must be owned by the person or entity ordering it. No exceptions! Clients will be refunded if the script or scripts of their order does not follow the notes or guidelines of that said item. Clients have seven days to ask for a redo of the item or items they purchased. If after the redo of the item or items and the client is still unsatisfied, they may ask for a refund. Our ad campaign packages are primarily dealt with our campaign partners themselves. We work to initiate a deal with the partner and negotiate the terms. There are some things we do need to inform you about though. All campaign packages can be cancelled by you or the campaign partner at anytime. You are held to the terms of service agreed upon by the campaign partner. Campaign Partners must keep the original price they initially agreed upon. If changes are made, existing customers are grandfathered in to the initial agreement and pay the the original price until they discontinue or the agreement is cancelled by the client. Campaigns must be legal and legitimate. Campaigns may vary depending on the campaign partner and client, as well as the message of the campaign itself. Web hosting and design comes with certain restrictions. Please read the following acceptable uses of our hosting packages or design deals. Any hosting package that indicates ‘unlimited’ is not really unlimited, but a quota that we feel the typical client will never exceed. Users are responsible to delegate the allocated disk space on their hosting packages for all the included services like email and FTP. All web hosting packages were meant for web hosting only. Unauthorized use of your hosting package will result in your account being suspended and no refund will be issued. 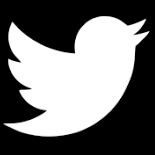 Streaming is included in some hosting packages. gbj Imaging takes no responsibility of the content being streamed on its streaming servers. Web design work will not be completed until after the invoice for the pro-rated order is paid. 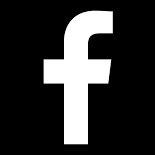 gbj Imaging will not contribute in the effort to design any page or pages that promote violence, harassment or will be negative in nature and threaten or harm anyone or any entity. A full refund of the order will be returned if we feel its content violates this amendment. These are some of the acceptable uses for our radio and streaming packages that you should know about. Our clients are responsible for the content they play on there provided streaming servers. Users of our streaming packages will be informed if they come close to there bandwidth or disk space limits. If bandwidth or disk space is exceeded, accounts will be suspended with no refund of the stream hosting package. If you have any questions, comments or concerns regarding our Acceptable Use Policy, we ask that you contact us right away.